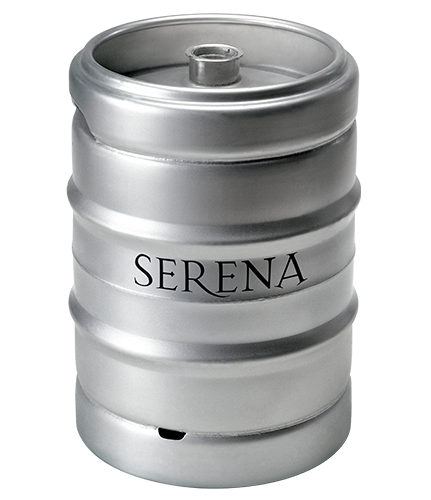 The Serena brand, which is the first product brand of the company, was founded in 1987, when the need to preserve the quality of the wine for a longer period, led to the idea of using the kegs. Kegs are very capacious containers made of aluminum or steel, which help the wine to maintain its quality for a longer time, because they protect it from light and oxidation during transport, and maintain its features and temperature during service. This line of wines in kegs, practical and ecological, includes table wines and I.G.T. of Veneto region, white wines, red wines and rosé wines, both still and sparkling. Dedicated to the Ho.re.ca market, this line is distributed worldwide and it is the perfect solution for bars, restaurants, wine shops, hotels and catering services. A reliable choice, competitive and safe.